C2C: Country to Country arrives at London’s O2 Arena tomorrow and will see more than 50,000 fans of Country music flocking to the iconic venue to see performances from more than 70 artists over 3 days. 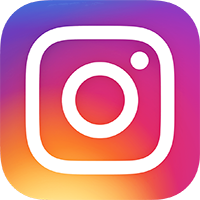 C2C also visits Glasgow and Dublin over the same time period enabling Country fans to see the hottest artists regardless of their geography. 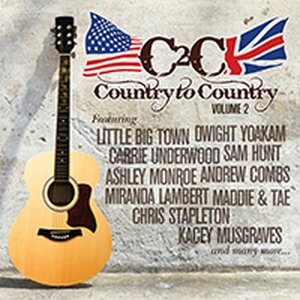 To celebrate the return of the hugely popular festival, C2C: Country to Country Volume 2 has been released. Following on from last year’s popular release, C2C: Country to Country Volume 2 features 20 tracks from artists who are playing at this year’s festival and artists who have appeared in the past. The set opens with Carrie Underwood’s recent single Smoke Break, the first single from her smash hit album Storyteller. That song sets the mood perfectly and leads into hits from big stars such as Dierks Bentley, Luke Bryan and Kacey Musgraves. From this year’s crop of performers highlights on the release include Sam Hunt’s punchy Break Up in a Small Town, Chris Stapleton’s soulful Traveller and Maddie & Tae’s gorgeous Fly. Ashley Monroe, who will be appearing on the Yamaha Music Stage, steals all the attention with her catchy hit On to Something Good. One of the best tracks on the collection is David Nail’s current single Night’s On Fire. The song continues to get better with each listen and it makes this reviewer very excited about the star’s upcoming album Fighter, due later this year. Two homegrown acts appear on the collection this year – The Shires with All Over Again and Callaghan with Best Year. It’s nice to see homegrown talent appearing alongside the big stars from the US and both tracks fit seamlessly into the tracklisting. C2C: Country to Country Volume 2 will act as the perfect momento for those who attend the epic festival and a great taster of what the festival is all about for those who can’t attend. It really is a great selection of Country music representing all of the different artists and styles that are showcased at C2C every year.